Sutton Hoo in Suffolk is one of Britain’s most important archaeological sites, and was excavated as the burial ground of the Anglo Saxon kings of East Anglia. Now owned by the National Trust, the site has recently been reinterpreted, with the Trust appointing Van Heyningen and Haward Architects to design the project. Sutton Hoo Estate includes a substantial Edwardian house which required refurbishment, and 254 acres of grass heath and woodland on the Deben estuary, as well as the burial grounds themselves. The National Trust has created a new exhibition on the site, housing a full size reconstruction of the ship’s burial chamber, as well as informative display panels and listening centres. Visitor facilities also include a brand new restaurant and a shop. Van Heyningen and Haward worked in partnership with the Trust to develop the overall planning for the estate and the design of the exhibition hall and visitor centre. For the latter, Sadolin Classic was specified for the external timber and some of the internal wooden features. Sadolin Classic is a solvent borne, translucent woodstain that provides tough weather protection and resists peeling and flaking. Sadolin Classic was ideal for the Sutton Hoo project, where a durable coating was required to both protect and decorate the wooden structures and timber detailing. Available in 14 standard and 48 tinted colours, a bespoke colour, Turner Grey was mixed specifically for the project. 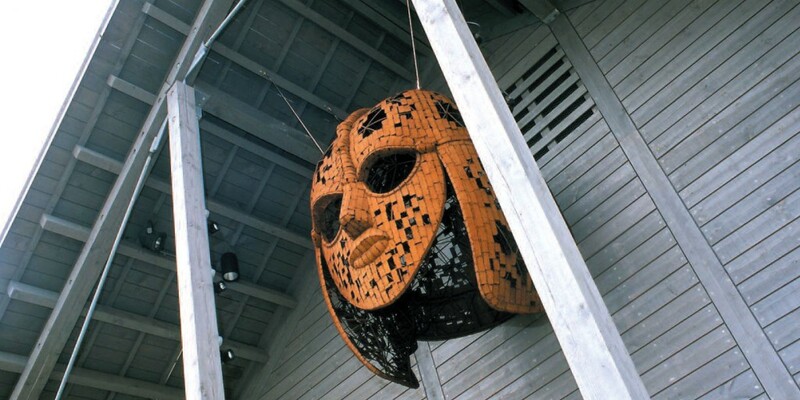 The new facilities at Sutton Hoo are now complete and visitors are continuing to flock to the historic site in Suffolk, which boasts some of the most interesting archaeological finds ever made in this country.